Is the Fast 800 diet suitable for everyone? In 2012 Dr Michael Mosley burst into the headlines advocating the 5:2 diet plan and enthusing about the health benefits of restricting calories on two days a week. The 5:2 plan became instantly popular and in 2018 Dr Mosley returned with a new health giving diet. The Fast 800 diet is based on many years of scientific research and is proving to be as popular as the 5:2 diet. In this article, we tell you all you need to know. 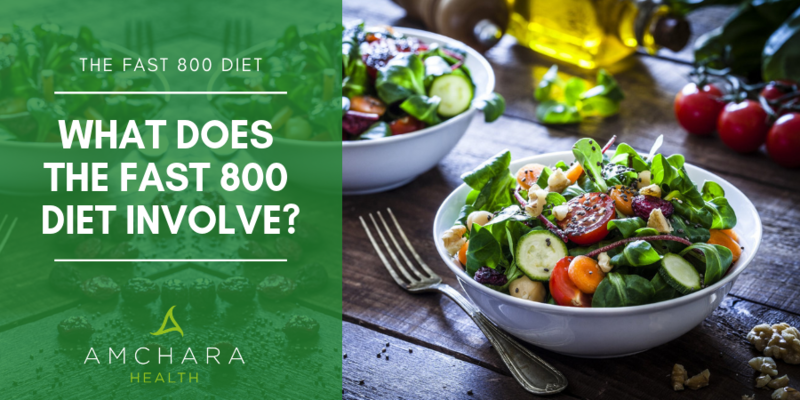 The Fast 800 diet, sometimes referred to as the blood sugar balancing diet, is based around a very low calorie diet (VLCD) and is designed to create rapid weight loss and improve conditions like Type 2 diabetes. A restriction of calories to 800kcal every day up to 12 weeks. Calorie intake can be from a balanced food intake or through meal replacement shakes that are specifically designed to have a balance of nutrients including vitamins and minerals. A transition to an updated version of the 5:2 diet where 800 kcal is consumed on two days a week (this is an increase from 500-660 kcals in the 5:2 plan). On the other 5 days a week a Mediterranean low carbohydrate style diet is eaten. This involves moving to a long term low carbohydrate Mediterranean style diet. The Mediterranean diet is considered to be one of the healthiest diets and is based on fish, olive oil, nuts, wholefoods, legumes and plenty of fruit and vegetables. It is also low in red meat, saturated fats and refined sugary foods. Mosley suggests that Phase 1 can be tailored to each person’s specific situation and if Phase 1 is not achievable that the diet can be started in Phase 2 (1). He also recommends time restricted eating (TRE) as part of the programme. 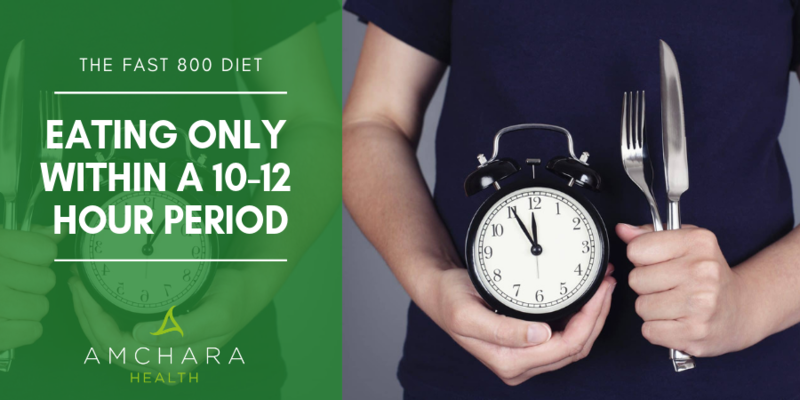 TRE is a form of intermittent fasting with a pattern of eating that restricts the ‘eating window’ to a set number of hours during the day and allows for a period of fasting. He suggests starting with a 12 hour fast overnight and working up to 14 hours - although there is much research on the benefits of the 16:8 approach to TRE, Mosley comments that he finds 14 hours a more achievable fasting time. The Fast 800 diet is designed to prompt the body to ‘switch fuel types’ from burning carbohydrates for energy to burning fat instead. This is also the basis of the ketogenic diet. As fat is mobilised and burnt as an energy source, fat stores decrease and there is often weight loss. It doesn’t look as if there is any hard or fast rule to how the 800kcals can be split, the emphasis is more upon keeping to the set calories and eating within a 10-12 hour period. If you prefer you can spread the calories out throughout the ‘eating window’, or they can be split to provide the traditional 3 meals a day. Mosley suggests that the Fast 800 diet is a more personalised approach than some other diets and can be tailored to each individual’s situation. A common question asked when embarking upon any dietary change, the issue of side effects is a relevant topic. With any restriction in calories, there may be a degree of physical, emotional or psychological side effects. These will vary from person to person and will largely depend on existing dietary intake, eating patterns and health status. Losing around 1200-1700kcals a day can increase hunger pangs initially. Mosley reports that after the first day or two these hunger pangs dissipate. It is suggested you ensure a good water intake is maintained and include good protein during the day to help keep you feeling fuller for longer. Many of these stem from the body trying to replace carbohydrates that it has become accustomed to. Cravings for sweet, sugary foods shows that the body is trying to increase glucose. Being mindful when eating, removing temptation from the cupboards and keeping busy may aid in managing cravings. This is reported to pass quickly, although if it doesn’t medical guidance should be sought. Keeping blood volume up by drinking plenty of water and including electrolytes like magnesium and potassium may help. This can be an issue until the body switches to using ketones from fat burning. Resting, reducing physical activity temporarily and including vitamins B and D may help with energy. Some report this is down to the body generating ketones, whilst others believe it is from the release of toxins from fat reserves. Drinking plenty of water to flush things through, brushing teeth regularly and using a tongue scraper may help here. The reduction in food quantity and type can mean that the bowel has less waste to eliminate. Fibre is important for the bowel and Mosley suggests increasing non-starchy vegetables like green leafy vegetables and those from the brassica family as well as including chia and flax seeds. Water intake is vital for bowel movements and drinking at least 2 litres a day is useful. This may occur for several reasons - it is suggested that you eat the main meal of the day 3 hours before bed, keep active during the day and ensure exposure to daylight. Like many other very low calorie diets or types of fasting, the Fast 800 diet may not be suitable for everyone. In particular, it is not recommended if you are under 18, trying to conceive (naturally or with fertility treatment), pregnant, breastfeeding, underweight or have a history of eating disorders. In addition, if you have a medical history of cardiovascular problems, epilepsy, diabetes or are on prescription medication you should seek guidance from your GP. 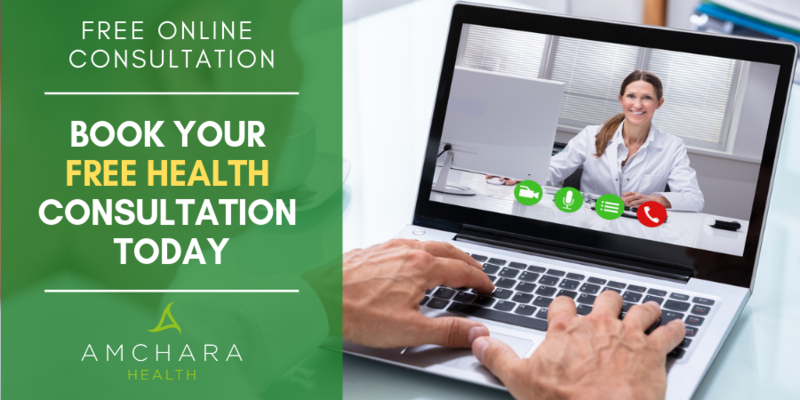 Reading a book and then translating all the information into practical steps can be difficult and there is a Fast 800 digital lifestyle programme available. The 12 week programme offers online support and advice from healthcare professionals, with weekly meal plans and shopping lists. The programme also offers advice on exercise and mindfulness to enhance the benefits (2). Recipes on how to use the 800kcals can be found in the book and also on many websites, as well as the Fast 800 website. A 9 month pilot scheme trialling the Fast 800 approach within the NHS is currently underway and involves people with Type 2 diabetes. They will have access to devices, trackers and behavioural advice over the course of the programme (3). You could enquire with your GP to see if it is on offer in your area and if you are eligible. Over 62% of the population is thought to be overweight or obese (4) and this is costing the NHS over £6 billion a year (5). Obesity can increase the risk of many health conditions and an obese person is 5 times more likely to develop Type 2 diabetes. Rapid weight loss diets have long been thought of as difficult to achieve and not a healthy way to lose weight. In fact, advice for many years has been to aim to lose no more than 1lb a week (around half a kg). Although the use of very low calorie diets for weight loss and health is not a new concept, recent research is showing it can have profound benefits on many aspects of health and can be a safe and sustainable way to lose weight (6). Weight loss on a very low calorie diet can be substantial. A 2017 review of 17 studies of people with obesity and Type 2 diabetes showed that participants lost on average 13kg, some lost as much as 24kg (7). Body fat distribution is important, and it is known that a high level of abdominal (visceral) fat increases the risk of cardiovascular disease and certain cancers (8,9). The incidence of Type 2 diabetes is on the rise and the latest figures show that 3.8 million people were diagnosed with Type 2 diabetes during 2017/18 (11). This condition significantly increases the risk of other conditions and is often called a lifestyle disease. This means that it is caused by certain lifestyle factors. With this in mind, modifying these lifestyle factors can put into remission and even reverse Type 2 diabetes. A high carbohydrate diet, especially one high in refined carbohydrates or sugary foods, causes a rapid spike in blood sugar followed by the release of insulin. In conditions like Type 2 diabetes, there may be persistently high levels of blood sugar and insulin. What’s more, body cells can become ‘deaf’ to the effects of insulin and so they do not respond (insulin resistance) and therefore blood sugar is not reduced effectively. Weight loss is a major factor in reducing Type 2 diabetes and rapid weight loss through a very low calorie diet gives significant benefits. Studies show that blood sugar levels improve, insulin levels reduce, and body cells become more sensitive to insulin - reducing insulin resistance (12). Very recent trials, such as the DiRECT trial now show that Type 2 diabetes can be reversed with a very low calorie diet (13). The balance of blood fats and blood pressure can be monitored to assess overall cardiovascular risk. High LDL ('bad') cholesterol, low HDL ('good') cholesterol and high triglycerides are linked to heart disease and high blood pressure increases the risk of stroke. The use of very low calorie diets to induce weight loss also alters the balance of blood fats. Changes that can be seen include lower LDL cholesterol and triglycerides and improved HDL cholesterol. Blood pressure also reduces, and these positive effects may be seen long term (14,15). Inflammation is a natural immune response to damage, injury or infection and serves to help protect and heal the body. Short term inflammation can be useful, but many triggers and lifestyle choices are increasing chronic inflammation which is problematic. Obesity and Type 2 diabetes are now known to involve inflammation. The rise in chronic conditions linked to inflammation is astounding and also includes cardiovascular disease (16,17), bowel conditions (18) and depression (19). Very low calorie diets that give rapid weight loss lead to a reduction in fat cells - these fat cells are a rich source of inflammation. Markers of inflammation are seen to reduce after weight loss (20,21). These findings could mean that many chronic inflammatory conditions may be avoided or reduced by using rapid weight loss diets, like the Fast 800. Research into the gut microbiome, the unique eco-system we carry in the gut, indicates that the balance of beneficial organisms in people who are overweight can be very different to that of a person with optimal body weight (22). Gut microbes play a large role in digestion, metabolism and also in immune functioning. Interestingly in obesity, species such as Akkermansia muciniphila are seen in low levels and in those with an optimal body weight levels are higher. There is also more diversity in bacterial species in people with a lean body weight (23 ). These changes are linked to a different response to insulin and other metabolic factors. Studies into the diversity of bacterial species within the gut and response to calorie restricted diets indicate that the more diverse the microbiome is, the better the response to calorie restricted diets (24). In one study, a very low calorie diet, much like the Fast 800 diet, beneficially altered body weight and gut microbial diversity (25). This study also showed that the changes to the microbiome were not sustainable after the very low calorie diet ended, this may indicate that perhaps further support for the microbiome may prolong weight loss benefits. As yet, there have been no clinical trials on the specific Fast 800 diet but research from other very low calorie diets is promising and a variety of health benefits can be seen. There is much evidence to show that other types of fasting and time restricted eating also bring weight loss, a reduction in inflammation, improved microbiome and better blood sugar control. As each and every person is unique and has a very specific biochemical makeup, guidance from an experienced practitioner can be useful to obtain personalised advice on the best course of action to tackle weight loss, blood sugar balance and gut health. For a free complimentary discussion on which direction may suit you please book here. Sharing knowledge and experience helps to empower people to make better health decisions, we would love for you to share your views here so others can benefit. Tell us what you found most useful about this article. Have you tried the Fast 800 diet? What have the benefits been for you? Have you experienced any pitfalls? How did you tackle these? We look forward to hearing your views below.